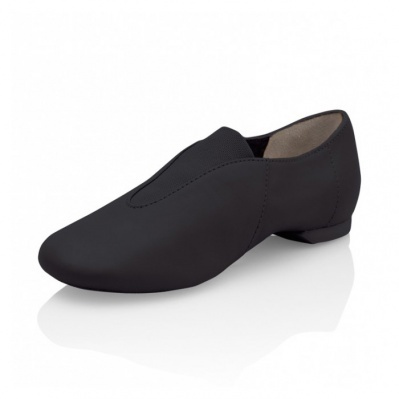 New from Capezio, the Show Stopper jazz shoe! Power mesh inserts and low sides provide a sleek close fit, while the moisture absorbent lining, leather upper, and EVA heel provide the high quality you can always expect from Capezio. Available in select Adult sizes 4.5-12.5 and Child Sizes 10-1.5. Begin with street shoe size.